Have you always wanted to have your own boutique where you get to choose the products you sell and connect with people who love your picks and finds? Are you a mom Instagrammer or a travel influencer who hasn’t yet figured a way to make money from your content on Instagram or Pinterest? Or maybe you want to take control of your time and start looking for opportunities to live life on your terms while monetizing your strength, traits, and passion? I guess you are getting tired, like many of us, of trying to beat the algorithms on social networks in an attempt to grow your following so that brands will be willing to pay you more for sponsored content on your platforms. Have you considered starting an online business to answer any of these needs? Are you ready to take your online monetization journey to the next level? Whatever the reason, I’m glad you stumbled upon this page! This may be the very post that will help you make the shift you were looking for. With the working world changing so quickly, now is the time to look into your options. According to many studies and as mentioned in this Forbes article, "by 2020, 50% of the U.S. workforce will be freelancers (this does not mean they are all full-time freelancers, but one of every two workers will be freelancers in some capacity).” In a previous post we gathered 5 ways to start your online business, and make money independent of location. Building your online business will help you take control of your financial future and will be the starting point for living the life of your dreams. One of the options for starting your online business journey is to become an affiliate and sell products in a variety of categories that you have tried and loved. For bloggers, this is already one of the two most effective ways for monetizing their blogs. Yes, you could consider blogging and using affiliate links on your blog. If this is something you are considering, make sure to first read How To Blog Without a Website? But even if you don’t have a blog, if you have started growing a nice following on Pinterest or Instagram, you can use affiliate marketing to start a nice side income by earning commissions on your recommendations and the products you promote (provided your followers buy them!) With affiliate marketing the shopper pays nothing extra and you get a commission for making the referral. It is not so different from uploading all that information you are always sharing with friends and family only with a larger audience and earning commissions on sales made through your promoted products places, and services. Though you will not necessarily make a full income right away, you can start small as a side hustle and steadily grow. We at VENNDY are excited to be part of this growing economy of gigs and new opportunities and are curious to find out where the journey of our growing community will take us in the future. WHAT ARE YOUR OPTIONS FOR STARTING AN ONLINE BOUTIQUE? The Good Old Way – The traditional way is either to sell products you manufacture yourself (literally or through a print fulfillment service) or to buy products and then sell them to your customer base. To do that, you would open an ecommerce store with some of the tools (such as Shopify, WooCommerce and more) that we have shared in our previous blog post 5 ways to start your online business. The New Way – This way you have no inventory, no customers, no shipping. You just find and share the places, products, and services you love and promote them to your audience! This is what affiliate marketing is all about. The great think about this option is that it really doesn’t require any initial investment; you do not need to buy products, order anything, or even start a blog. All you need to do is to start creating your own quality content, get approved as an affiliate through one or more affiliate programs, and then start promoting items you love to your followers on social media or other forums and communities. Think of it as being an intermediary connecting shoppers to businesses. And why should they buy from you? Either because you give them some kind of unique offering (a product they wouldn’t have found by themselves, your review or point of view, or some valuable advice) or because they have already grown to trust your recommendations and will gladly buy the products you promote. WHAT IS AN AFFILIATE MARKETING STORE? 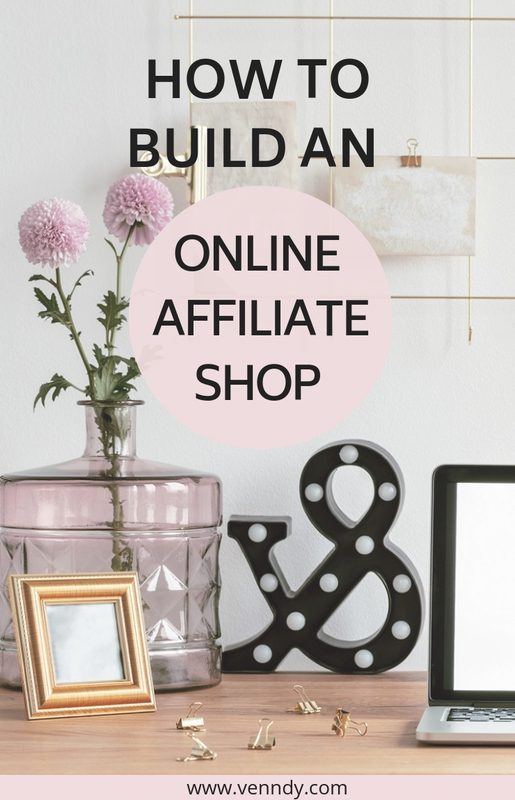 One of the ways to start an online store or online boutique with no money or investment is to start an affiliate store. Here you can find an article which explains how to start an Amazon affiliate website to create your store using a combination of WordPress and an ecommerce platform such as WooCommerce. Start your own website, either with one of the available platforms or self-hosted. See our previous blog post explaining the various ways to blog vs. micro blogging. Register a domain name, if you decide to go with a self-hosted website. Choose hosting services. Even if you go with BlueHost, one of the cheapest services which is very well promoted by bloggers, it will still cost money. The basic program is currently only about $2.95 a month, but you’ll need to pay more for additional features. Get a SSL Certificate for free (required for accepting payments). Install WordPress or another website platform. Create an ecommerce store using WooCommerce, Shopify, or one of the other services (here is a list of the ways to open an online store or sell your products on an online commerce platform). Select and customize a theme for your website. Extend your online store with plugins. You will need to learn quite a few new skills to manage this process, such as how to use WordPress and grow your business, and this is on top of investing time and efforts in mastering your promotional skills, search engines, and social media. Here are 2 more articles where you can read more about the pros and cons of how to build an Amazon affiliate niche site or how to make money with Amazon affiliate websites. Here you can find some examples of Amazon affiliate niche sites and the stories behind them. As said in these articles, with an Amazon affiliate website it is not only Amazon products that you can sell. You can also enjoy the advantages of using other affiliate networks such as ShareASale, AWIN, Rakuten, Commission Junction, ClickBank, and more. It is very convenient to use only Amazon – they do indeed have a large variety of products in almost every category imaginable – but they have kicked out affiliates for various reasons and relying only on them would be putting all your eggs in one basket. Another thing to consider is the growing number of independent, self-hosted programs such as Ultimate Bundle, SendOwl, Creative Market, and others. You can’t promote these through any of the affiliate networks but rather by applying directly to them. With VENNDY you have no inventory, no customers, no shipping; all you have to do is to promote places, items, and products you have tried and love!!!! Simplicity– With VENNDY you can start your online affiliate shop in a few simple clicks. 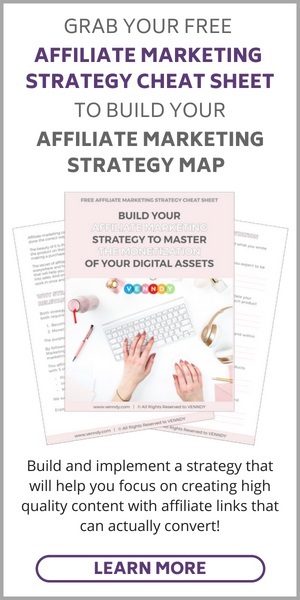 No need for a website, a blog, hosting, SSL certificate or to learn too many techy skills, except for how to become an affiliate. Focus– VENNDY helps you focus your monetization efforts on creating great content around your promoted items. And we really mean focus! Focus on having fun, enjoying life, and sharing it in a useful way to inspire others to take action. Tools– Using VENNDY’S tools you can share your content with affiliate links throughout all platforms. Using VENNDY’s free tools you can build an online shop with all your favorite items so you can gradually grow your following, make money from your knowledge, and take control of your financial future. It’s time to end the frustration of creating content for social media and seeing no compensation for all your hard work. VENNDY’s tools are great for publishers (influencers and bloggers) as well as newbies who can use social curation to better connect with others and monetize their expertise, unique taste, or passion for shopping. If you already have a blog, you can still benefit from having your own online place – your go-to boutique with items you have selected over the years, all carefully curated with your own personal touch. You see, the dresses in a post called My Latest 10 favorite Dresses may change over the years, but with VENNDY, the story you create with your designated URL will keep being relevant – you can just change the dresses you put in there. Below we have shared some ideas for posts which are great for affiliate links; if you keep updating the items inserted into these posts, you can create an evergreen kind of content. Like every other store, your items may change but your ideas will last forever. Start – Sign up to VENNDY – it’s free and easy – and learn how to start using the VENNDY LinkCollector. Build – Start building your online experience-based affiliate shop by simply uploading items you want to promote, adding your affiliate link (when relevant), and arranging items into VENNDY Stories. VENNDY stories are just collections of items built around a lifestyle experience. If you don’t have a blog, a VENNDY story is what you would have had in a blog post. Sharing experiences is a great way of connecting with others, and the items you share don’t all have to include affiliate links – they can also be articles, products, places, and services with no affiliate partnerships. Whatever helps shoppers gain value is a great bonus. Sell everywhere – Use one destination, your VENNDY Affiliate Shop, to promote products to anyone, anywhere. It is a marketplace with reviews, experiences, and advice on any subject, all curated by people and, most importantly, not by an algorithm. It’s an online marketplace for inviting followers from social media, websites, forums, and community sites to shop your favorite tips and finds. Using the LinkCollector, VENNDY helps you create a webpage for every item you want to share and put them all in one place – your own affiliate marketing shop. Promoted products, places, and services can then be collated in a VENNDY Story, which is a collection of items presenting a full experience. Gathering items around experiences adds your personal touch, which can then be shared on your website as a shop-the-post widget or on social media. 1. 1. For Travelers – If you are looking for ways to travel the world and get paid, affiliate marketing is one of the proven ways to do just that. With a blog, an Instagram account, or on Pinterest, you can promote items you curate such as travel gear, hotels, applications, travel equipment, air fares, transportation, communication (equipment and deals), travel insurance, and paid attractions – see the examples in The Best Travel Affiliate Programs for Travel Bloggers and Travel Influencers. Affiliate marketing for the travel niche is one of the best because commission on accommodation can add up nicely some passive income. 2. 2. For Mom Influencers – If you are a millennial mom who grew up with all the online opportunities around, the smart and passionate woman in you probably finds it quite difficult to be disconnected from the wider working world. It can get hard not being intellectually stimulated and financially independent. If you are thinking about how to make money as a stay-at-home mom, in addition to blogging and freelance work, creating an online affiliate business is something else to consider. It can be a perfect addition to a successful Instagram account, where you share your parenting advice, pics, and finds along with your everyday family experiences. Instead of treating your Instagram feed as just a nice collection of images, link it to a VENNDY Affiliate Shop to create a go-to destination for all your important advice and recommendations of products for moms, kids, and families. 3. 3. For Fashionistas – If you are a fashionista who loves sharing her outfits, you may be looking at how to start a fashion blog and make money or how much money can you make on Instagram. For fashion bloggers the easiest way seems to be to simply share the outfits you wear. But do your Insta likes and new follows convert into sales of the items you share on your ShopStyle or Liketoknow.it platforms? If the answer is no, you should probably have a good look at the content you are sharing. Think about yourself: what kind of content is most likely to convince you to buy? a catalog showing only products or a magazine sharing real moments of people’s experiences? With VENNDY you can share in an Insta related post your full experience: except for the outfit, you can also share the hotel, the transportation, the article you read, and the cafe next door. Not all your links should be affiliate related. Alongside your ShopStyle items you can also share your blog post and the recommendations of places to go to, because that’s what creates a real connection. 4. 4. For Internal Designers – If you are an internal designer or home stylist, you know how valuable and inspiring one snapshot can be. 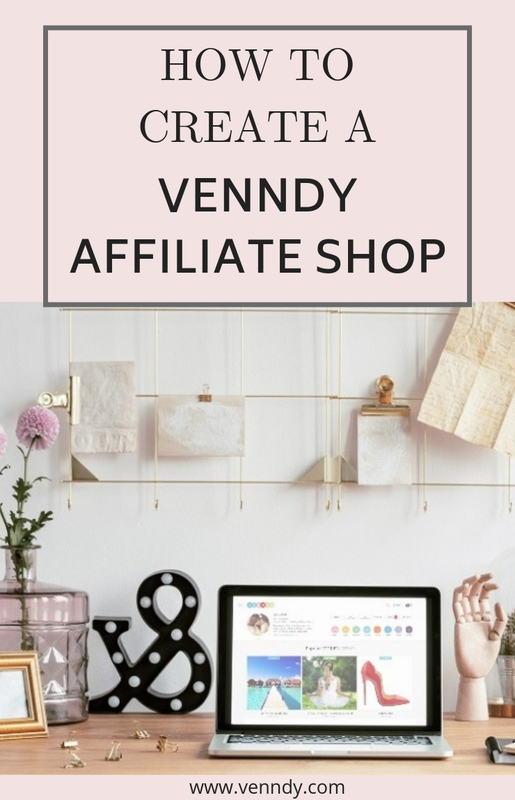 Creating your VENNDY Affiliate Shop, where you feature your work with links to similar articles and to products and places where people can shop the items you use, can be of great help for them and earn you some passive income along the way. Fill it with home decoration accessories, design apps, small pieces of furniture, and accessories for the bath and the dining table. 5. 5. For Beauty Addicts – If you love makeup and beauty products, you are probably already using YouTube or Instagram to share your pics and finds. But do you make it easy for people to shop for your recommended items – make-up, facial creams, beauty treatments, beauty articles, lists with latest trends, and more? An affiliate shop can help you gather all the products you love in one place and invite shoppers through all your social media accounts to shop them easily. 6. 6. For Wellness Coaches – If you have just started your coaching and motivational business, helping others live a better and healthier life or helping them build their confidence to make their dreams come true, you can accommodate your business with the product lines that match your niche such as books, online courses, workout clothes, nutrition, food additives, special diet ingredients, yoga retreats, mediation apps – all these can be part of your VENNDY Affiliate Shop. 7. 7. For Foodies – If you like trying out new restaurants while traveling or as part of your everyday, if you love cooking and sharing recipes, there’s nothing more fun than creating lists of best cafes, restaurants, and recipes including great cutlery and kitchenware to inspire your followers. 8. 8. For Lifestyle Lovers – All of the above basically falls under the lifestyle category, and if you are someone who has a lifestyle blog or if you love experiencing the joy in life in whatever combination, then a VENNDY Affiliate Shop can help you gather everything lifestyle related that you find along the way. You can use it for travel adventures and shopping finds, for your best beauty products and books you love reading. 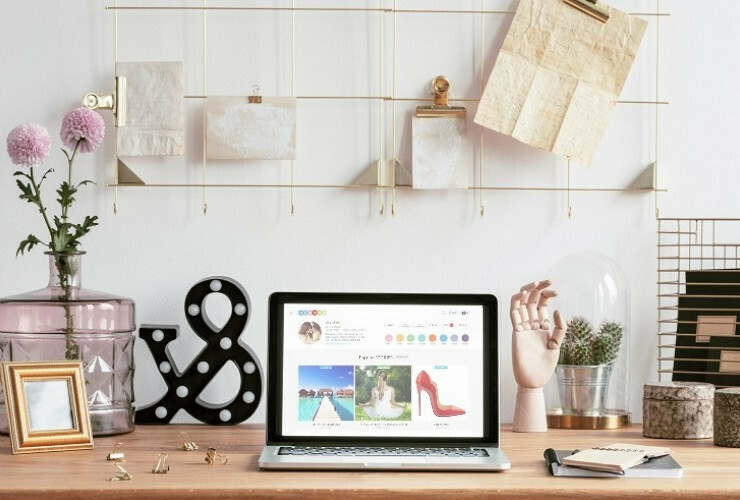 HOW TO PROMOTE YOUR ONLINE SHOP OF RECOMMENDED PRODUCTS ON PINTEREST AND INSTAGRAM? Let’s start by saying that you can create your online shop with VENNDY’S tools even without a blog. You do, however, need to have active and qualified social media accounts in order to convince affiliate programs to approve you. 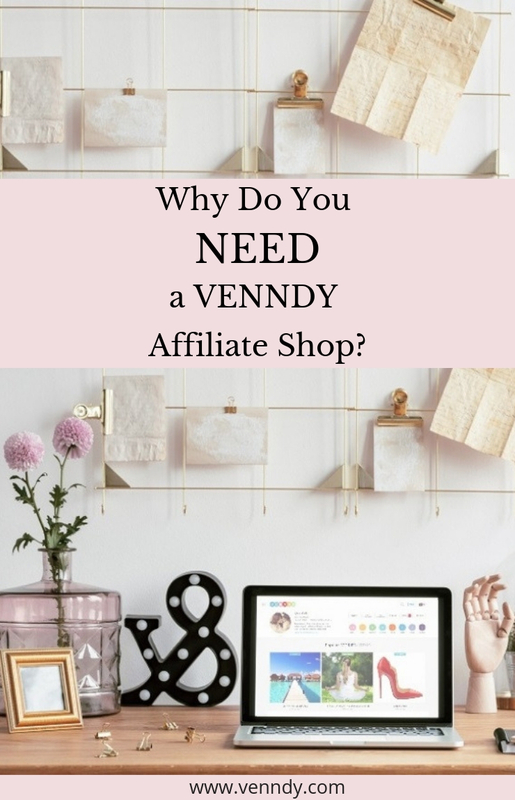 Once you are approved to one or more programs, using VENNDY you can have all your affiliate links arranged in a shop-like destination, add and remove items, share them in multiple stories, and promote them on a website and social media. At this point your VENNDY SHOP will only be successful if you promote it on your other platforms. But encouraging shoppers to save items they love for later will ensure that your affiliate links last longer, as previously explained in Why should you find a solution for helping your readers access your VENNDY Shop or save items for later? Are you ready to turn your Instagram feed into a stream of income? If you have a blog, then you can use the VENNDY Shop to create an Insta-shop tab on your blog, such as this one here. If you don’t have a blog, your VENNDY Shop URL can be what you put in your Instagram bio, encouraging followers to check it out for shopping for items they see on your feed. 1. 1. Apply to become an affiliate for your favorite stores. Read more about How to Find the Best Programs to Join and How to Find the Best Products to Promote in our Affiliate Marketing Guides. It’s best to be an affiliate for products you actually know and love, but you can really promote anything that appeals to you. Search on Google for the brand or company you want to be an affiliate for by writing "brand name + affiliate program.” You will either be directed to one of the affiliate networks (ShareASale, Rakuten, AWIN, etc.) or, if they have a self-hosted program, you can sign up immediately and wait for approval. 2. 2. Once you’re approved, create relevant content that can be shared on Instagram. Since on Instagram photos are key, the best approach is to create "lifestyle” photos of the items you want to promote and not just share products. Lifestyle photos sell the best because they showcase your use of the product; the image speaks for itself and, at the same time, builds your credibility because your opinion on the product is clearly based on your own experience. Sharing a photo of you in an hotel, wearing a certain outfit, or exploring a destination in Paris while also sharing a guided tour service, flights, and travel accessories used can all be part of one experience. 3. 3. Invite followers to shop or save for later. This can be done through the post’s caption or the SWIPE UP feature in Instagram stories. From both the link in your bio and from a story, you can direct followers to a "store” on your website/blog or, if you don’t have a blog, a shopping destination such as VENNDY. You can read more about what to put in your one link in the bio in this blog post. As you can read there, this could be an Insta-shop tab on your website with a variety of images all linking to the websites where your customers can purchase the products through your affiliate link. If you don’t have a blog, sign up to a service like LiketoKnow.it if you are mainly a fashion blogger or to VENNDY if you want to share content from any niche. 4. 4. Make sure to edit your bio. Add your Insta-shop or VENNDY shop link to your Instagram bio and include a call-to-action in each of your posts, encouraging your audience to click the link. 5. 5. Promote your products. Take the time to curate photos that have a similar style. Having a cohesive feed is important when you’re trying to sell a product. Adding a call-to-action is important. So create a caption you think your audience will respond to or an interesting story to match your post and included items, and don’t forget to remind them to click the link in your bio to browse your store! You can always insert your affiliate links straight into the URL of your pin and direct Pinterest users directly to the retailer’s site. But truth is, Pinterest users seem to be less favorable to pins that are trying to sell them something, especially those with affiliate links. It is different than trying to promote helpful content such as blog posts or articles with lots of information. As mentioned in How To Monetize on Pinterest With or Without a Website, you don’t have any control on re-pins, so you will not be able to update the link you put there. Once a pin is re-pinned, it is distributed separately from the original pin. Overall, your strategy on Pinterest shouldn’t be so different from the one on Instagram. The two platforms are going through endless changes, always trying to adapt and monetize their offerings. Both networks are inserting more and more ecommerce features to help users shop directly on their platforms, and both are strong candidates for driving online sales, so make sure to play the game. Stats about how Pinterest users are more ready to buy on Pinterest than on other social networks will not necessarily be relevant a year from now. With VENNDY you can share the same content on both Pinterest and Instagram easily and this is why your strategy for Pinterest should be similar to Instagram, as far as it relates to sharing experiences. 1. 1. Create content which is valuable, helpful, informational or inspiring. If it is written content, share your advice, personal experience, and insight. But since clicking on pins on Pinterest is mostly triggered by visual images, try to use this same concept with the photos you share. 2. 2. As explained above, the best approach is to create "lifestyle” images of the items you want to promote and not just share products. Lifestyle photos sell the best because they showcase your use of the product and builds your credibility. So aim to create content that showcases your products, solves a problem for your audience, or offer your products as a solution to that problem. Pin the Item page you created on VENNDY. This way you can always update your review, the description, and even the affiliate link you used or delete this item all together. Pin the Story page which includes a few items. This is my own preference, because this way you can always update, add, remove, and change the items. Sold out items can be removed, and you still don’t lose the traffic that is driven through all your social media channels. This makes even short-term kind of content evergreen; the best winter jackets may change every year, but there are always new ones that can fit this story. At VENNDY we want you to create a beautiful online destination with all of the products you love and are passionate about sharing with others. There’s nothing more rewarding than helping others make easier and better purchase decisions, all based on your personal experience, taste, and touch. So dive right in, soak it all up, and start taking action! You’ll have more clarity and more momentum and invite more success as you build your dream step-by-step. We can’t wait to see what you have to share and what you’re going to create while sharing your experiences, expertise, and passion!